Dr. Jason Polk, Associate Director of Science at the Hoffman Environmental Research Institute, says climate-driven water resource problems in the Caribbean could give rise to another intractable problem, community resistance to increased costs and regulations, if a concerted effort to educate the public about the challenges and possible solutions is delayed. Read his exclusive contribution to Caribbean Climate. 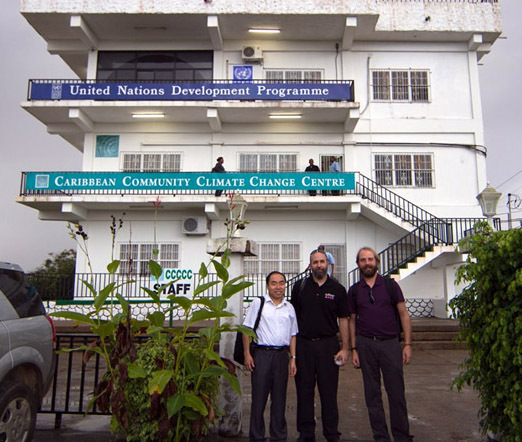 Dr. Jason Polk (centre), along with fellow WKU faculty members Dr. Xingang Fan (left) and Dr. Josh Durkee (right) following a meeting at the Caribbean Community Climate Change Centre in Belmopan, Belize. The Caribbean is changing every day. The people are changing, as is the geography. Perhaps most importantly, the Caribbean’s climate is changing, like it always has for thousands of years, yet never under the scrutiny with which it is examined today. Geographically, the Caribbean is diverse in its makeup. Isolated islands and small coastal nations that seem lonely and individually reliant upon their ability to persevere against the onset of environmental challenges. These countries comprise a group that shares a long and rich history, and are collectively facing challenges in addressing the risks and impacts from global climate change. Of these, one of the most pressing is the potential impact on the region’s water resources. Water. Simple, natural, and plentiful. Mention the Caribbean and one immediately thinks of the sea, warm beaches, hurricanes, and shipwrecks. While these images certainly are a reality, behind them exists a region in trouble due to a changing global climate and the demand for fresh water. 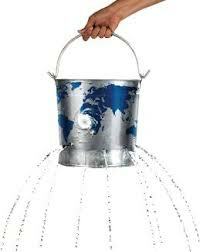 So, a question to be answered is from where does one obtain water on a Caribbean island? From the rivers? From the ground? Maybe from the ocean? These are all questions needing both to be asked and answered by people of the Caribbean and those looking in from outside. In answering these questions, one may be better able to understand the complex and pressing challenges that climate change has on water resources in the region. With these changes, there will be impacts on the fresh water resources of every nation in the region. Water stress will be one of the greatest challenges, as reduced precipitation and increasing temperatures will cause a lack of water availability in countries like the Bahamas, Grenada, and Jamaica, who already suffer from water scarcity. Several countries, such as Trinidad and Tobago and Barbados, are among the most water-stressed nations in the world, meaning that they require more water than is available to the population on an annual basis. Part of this is due to the seasonal availability of rainfall, which is slowly changing due to climate variability. For example, take Barbados, which relies primarily on groundwater from a karst aquifer. Karst is a landscape typified by caves and springs, wherein the rock dissolves away and water is stored in the remaining voids. This type of landscape is commonly found throughout the Caribbean region, and its water resources are highly vulnerable to impacts like pollution, drought, and sea-level rise. 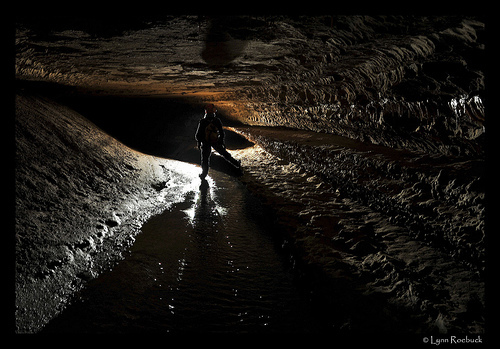 Inundation by salt-water can permanently ruin a karst aquifer’s freshwater supply, as the saline water will displace the freshwater, decreasing both its quantity and quality. In places like Barbados and Curacao, desalination plants are necessary to make up the difference in water demand and supply. However, these can be expensive to build and maintain, creating additional environmental consequences in the form of briny discharge and fossil fuel consumption. Curacao is among the region’s oldest user of desalination, having utilized the technology for many decades in the region; yet, today the demands for fresh water still exceed the supply capacity and larger plants are necessary to meet the island’s needs. There will continue to be an increasing demand on water resources throughout the region from tourism growth as countries look toward economic gain to finance the mitigation of changing environmental conditions. 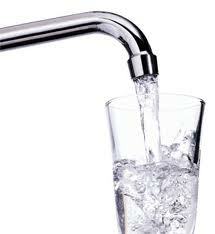 Water utilities will need to be expanded, coastal development will require additional engineering solutions, and the cost of addressing the human health aspects of waterborne diseases may increase. Without a concerted effort to inform the public of the issues and possible solutions related to climate-driven water resource problems, a bigger challenge may be community resistance to increased costs and regulations. Even those people who opt for cheaper solutions, such as rainwater collection or local wells, may be forced to rely less on these as viable options if rainfall amounts decrease or salt water intrudes, and may demand access to public utilities as an alternative. A comprehensive assessment of water resource demands, infrastructure, and policies across the region is needed in order to address the critical areas requiring attention. Leaders have resources available to them to assist in information gathering and decision-making, such as those provided by the Caribbean Community Climate Change Centre and other groups. Several courses of action are possible to mitigate water resource challenges caused by climate change. Yet, the first step is to become educated about climate change science and both local and regional water resource issues. Community members can play a role at all levels, from individual conservation efforts to leading regional programs for entire communities. Most importantly, call for action to help build resiliency through education and training. To effect large-scale changes, nations must develop sustainable policies at a regional level to work together to address climate change impacts on water resources. The reality is climate change impacts do not discriminate among nations, people, governments, economic levels, or geographies, nor do they wait for communities to prepare before occurring. Addressing climate change in the region requires that leaders and community members think locally and act globally. Get to know about climate change science. Get to know a neighbor. Get to know the geography of the Caribbean. Become a part of the conversation in your communities and in the region. ** Dr. Polk is an Assistant Professor of Geography and Geology at the University of Western Kentucky. Peruse our vault of works (internal and external) on climate change and the Caribbean’s water sector here, by entering the keywords ‘water and climate change’. You’ll find guides on adaptation measures to address the absence of freshwater and coastal vulnerability, pilots, including the Reverse Osmosis Water Treatment System in Bequia, and national water sector strategies for Jamaica and Belize, and much more. By caribbeanclimate in News on April 4, 2013 .